Feel the spirit of christmas with the Santa Newborn Photography Props. 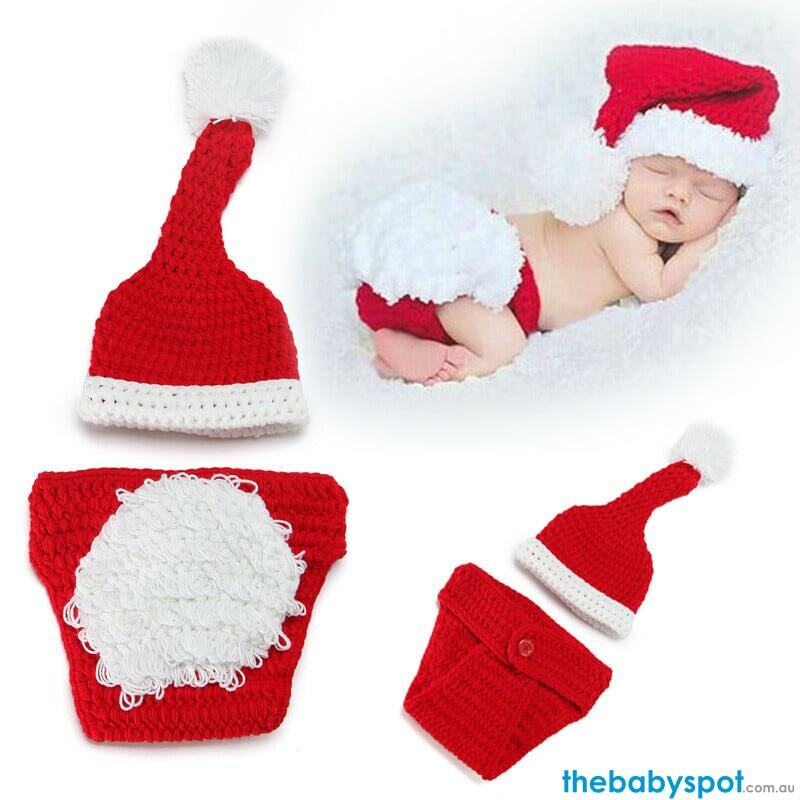 Transform your little one into a santa with our comfortable and soft baby prop. It helps you you capture that timeless, super cute photos of your baby that will just make your heart melt. It has a cute and lovely little santa crochet knit design. It is very perfect as the accessories of the baby photo in Christmas day. Best choice for birthday, party and photo!